Local authorities have almost tripled their outlay on independent best interests assessors (BIAs) in the six months since a landmark Supreme Court ruling triggered a surge in Deprivation of Liberty Safeguards (Dols) cases, Community Care research shows. Data obtained under the Freedom of Information Act from 115 local authorities in England and Wales showed that the councils spent £1.4m on independent BIAs in the first five months of 2014-15, almost three times the £550,000 they’d spent in the 12 months of 2013-14. 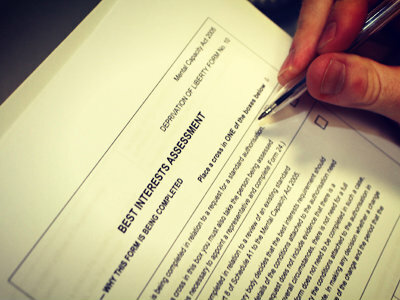 Independent assessors will commonly command between £350 and £450 an assessment. But experts say that fierce competition for independent BIAs in some areas has seen some councils offering up to £600 an assessment in an attempt to outbid neighbouring authorities. BIAs, who are often social workers, play a crucial role under the Deprivation of Liberty Safeguards (Dols), in deciding whether people have been deprived of their liberty in care homes or hospital and whether this in their best interests. The number of Dols referrals to councils has surged in the wake of the Supreme Court ruling in the cases of Cheshire West and P and Q, which effectively lowered the threshold for what constitutes deprivation of liberty in care. The dramatic increase in Dols referrals has intensified the shortage of best interests assessors at local authorities. In 2012-13, the CQC identified that one in four councils didn’t have enough BIAs to cope with demand. That year, the local authorities that responded to our FOI request received 6,805 referrals. In the first five months of 2014-15, they have received 31,524 referrals. All councils are now scrambling to train up more of their social workers as best interests assessors.Training courses vary in length, with some taking six months before social workers can qualify, and many have become oversubscribed in the wake of the ‘Cheshire West’ judgement. As a result many local authorities have become highly reliant on the independent BIA market – particularly for out-of-area assessments – and the sharp rise in demand has inflated the prices councils are offering for assessments. Steven Richards, a trainer with Edge Training, said that training courses had been “inundated” with applicants since the Supreme Court ruling. “The issue is that after the Supreme Court ruling the increase in demand was so rapid that almost overnight the numbers of Dols cases went from pretty low to about a ten-fold increase. So councils are having to turn to independents, the highest I’ve heard being paid is £600 for an assessment. They are also trying to train more of their own staff but with there not having been many Dols cases in the past few years, a lot of the BIA training courses were scaled back. They were running one or two courses a year whereas now the demand is there for one or two a month and they are in the process of scaling back up,” he said. In Harrow, Dols referrals have already risen by over 800% since the Supreme Court ruling. To meet the demand the council has spent £13,000 on independent BIAs since April this year. It spent nothing on independent BIAs in the previous two years. The council says that the use of independent BIAs has been crucial to services meeting all the statutory timescales for Dols referrals despite the surge in demand, but admits it can be tough to secure workers. A council report shows that Harrow, which offers around £360 per independent BIA assessment, has sometimes struggled to get independent BIAs when at least one other London council has offered £500 an assessment. Councillor Margaret Davine, the council’s portfolio holder for adults and older people, said: “To carry out these assessment in time – which can be as little as seven days – independent BIAs are a valuable resource. Our clients are located all across the country and using locally based assessors speeds up this process. However, because of the limited numbers of independent assessors available the costs for these examinations has risen.